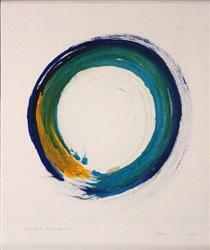 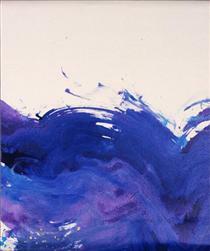 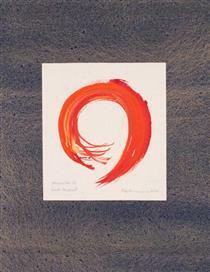 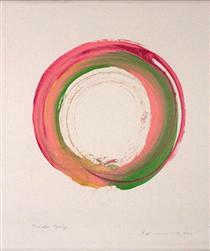 Kazuaki Tanahashi's innovative works blend the influences of the traditional Zen art and of the 20th century lyrical abstraction, comprising especially of one-stroke calligraphies and coloured enso circles (often brushed very loosely). 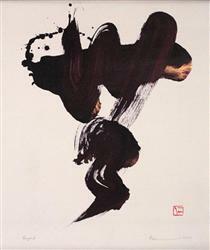 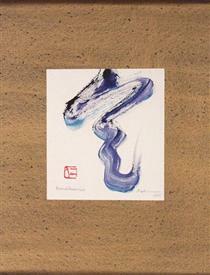 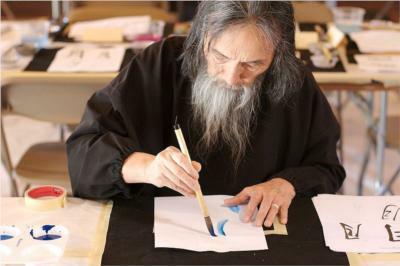 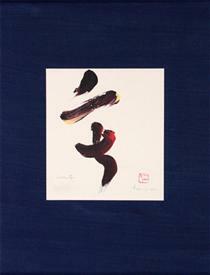 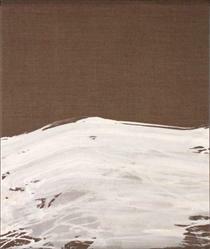 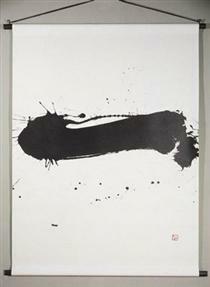 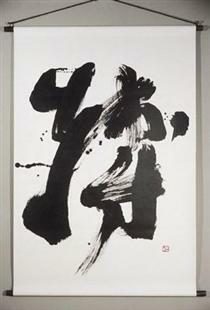 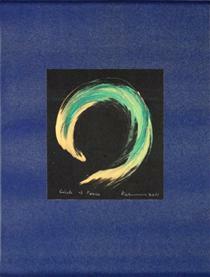 Kazuaki Tanahashi (棚橋一晃, c. 1933) is an accomplished Japanese calligrapher, Zen teacher, author and translator of Buddhist texts from Japanese and Chinese to English, most notably works by Dogen (he began his translation of Shobogenzo in his twenties). 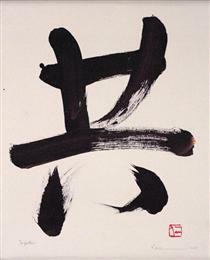 He first met Shunryu Suzuki in 1964, and upon reading Suzuki's book Zen Mind, Beginner's Mind he stated, "I could see it's Shobogenzo in a very plain, simple language." 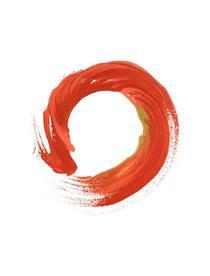 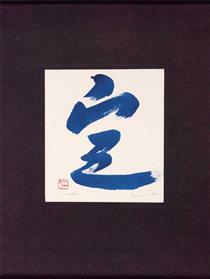 He has helped notable Zen teachers author books on Zen Buddhism, such as John Daido Loori. 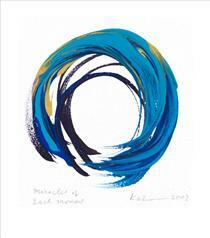 A fellow of the World Academy of Art and Science—Tanahashi is also an environmentalist and peaceworker. 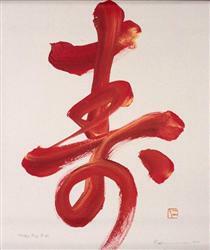 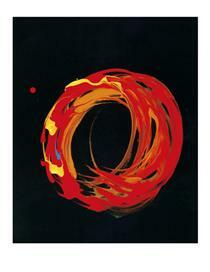 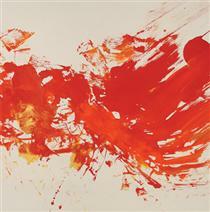 Happiness, red Kazuaki Tanahashi ? 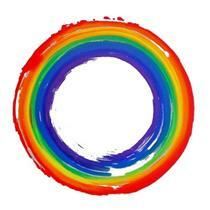 Rainbow Enso Kazuaki Tanahashi ?